Learning, Education and Games Volume One is officially out! You can read the press release from the publisher and download the book (for free) at the link below. ETC Press is excited to announce the release of “Learning, Education and Games. Volume One: Curricular and Design Considerations,” by Karen Schrier, et al. This book is perfect for any educator or designer seeking an introduction to research-driven best practices for using and designing games for learning. 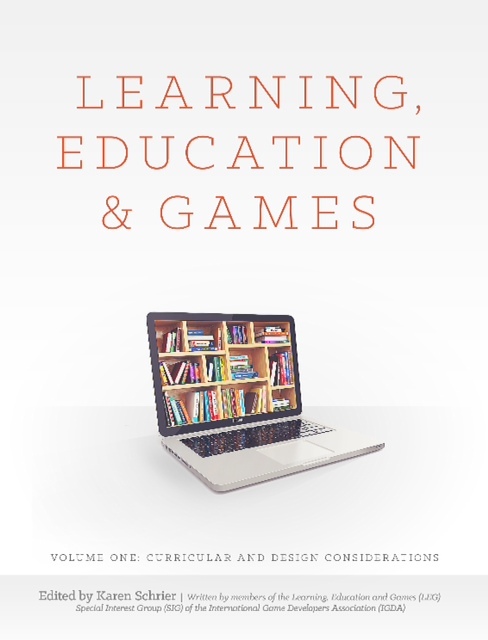 This book provides the latest research and techniques for designing games for a variety of curricular needs–including STEM, literacy learning, history education, music, and computational, ethical, and critical thinking. The book also delves into specific design issues, such as aligning goals, designing for an audience, playtesting, and assessment. Each chapter provides an overview of the relevant frameworks and research findings, as well as practical case studies and useful resources. This book is the first in a series written and edited by members of the Learning, Education, and Games (LEG) special interest group of the IGDA (International Game Developers Association). For more information, and to purchase or download a copy, visit this link. 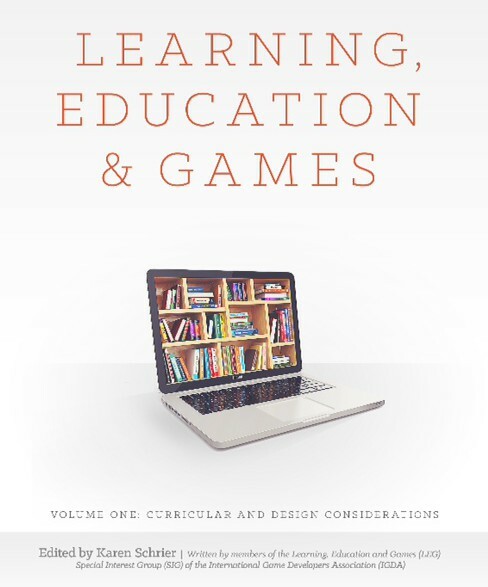 Learning, Education and Games (Volume One): Curricular and Design Considerations will be out in October 2014! Celebrate the launch on October 9th at NYU Game Center with a panel on games, featuring the contributors to the series. Check out more about the book launch event. Learn more about the book series.